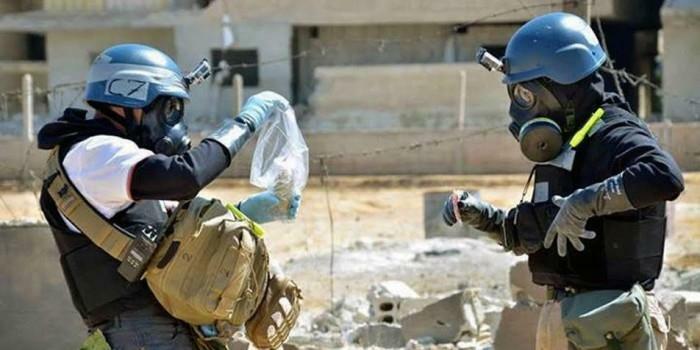 Another Syria attack took place in Eastern Ghouta where government forces dropping poisonous chemicals on last rebel. The chemical attack killed at least 70 people and affected hundreds, rescue workers told. A group of rescuers operating in opposition-held areas in Syria, said on Saturday that most of the injured people included women and children. The White Helmets, the Douma Coordination Committee and the Ghouta Media Center -- said toxic gas inside barrel bombs dropped by helicopters over Douma caused people to suffocate and choke. The "official source" is denying the allegations, saying the reports were a "blatant attempt to hinder the army's advance" into what the news agency described as a "collapsing terrorist" stronghold. Raed al-Saleh, head of the White Helmets said, "Seventy people suffocated to death and hundreds are still suffocating. The death toll is expected to rise. People suspect that chlorine gas, as well as an unidentified but stronger gas, were dropped on Douma. The United States government has warned that if the reports of chemical attack are confirmed they will take an action. The chemical attack has destroyed residential areas in Damascus, a lot of people are killed and material damage has been caused because of shelling. 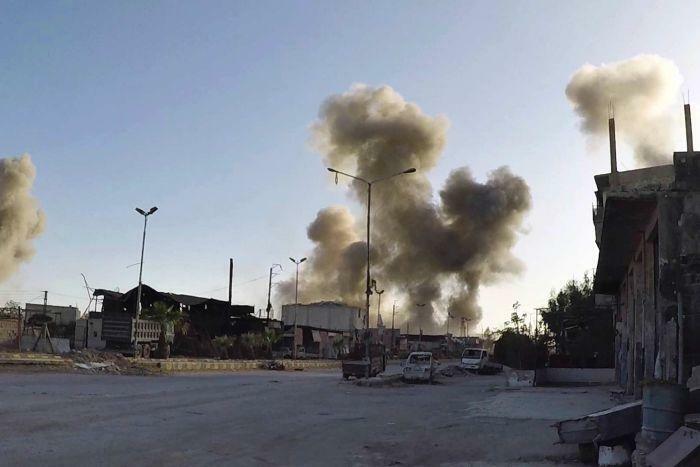 Moayed al-Dayrani, a resident of Douma and medical volunteer said, "Douma has been subject to intense air strikes and much of the city is destroyed. The doctors are finding it hard to reach the victims. 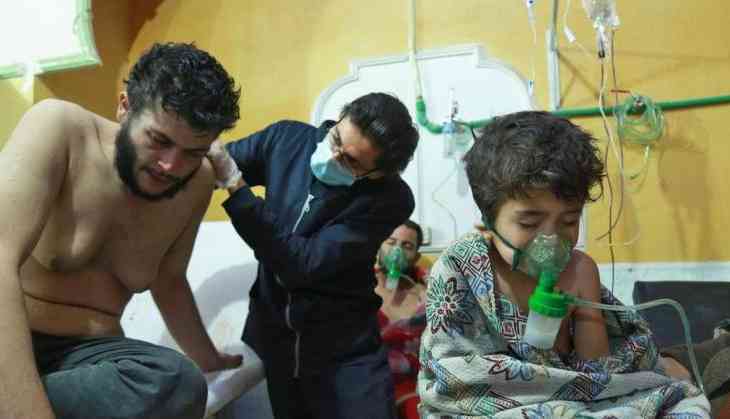 The rescue workers posted videos of people appearing to show symptoms consistent with a gas attack. Some appeared to have white foam around their mouths and noses. The gas has resulted into infectious symtoms which includes coughing, dyspnea, intensive irritation of the mucus membrane and difficulty in breathing.